For many older Americans, the biggest threat to their retirement security might just be the roof over their heads. More seniors today are carrying mortgage debt in retirement than ever before, rising from 22% to 30% from 2001-2011, according to a new report by the Consumer Financial Protection Bureau. Over the same period, the median mortgage balance for older Americans has nearly doubled from $43,400 to $79,000. As a result, money that otherwise might have helped buoy their nest egg or cover health care expenses is instead being poured into housing costs. Nearly 60% of 4.4 million retired homeowners in the U.S. today spend more than 30% of their household income on housing alone. In 2011, older homeowners with a mortgage spent $800 more per month on housing than their counterparts without a mortgage, according to the CFPB — $1,257 vs. $434. Senior homeownership rates are the highest of any age group in the U.S. (80%) and have remained virtually unchanged since the recession, while homeownership rates for younger consumers have steadily fallen, according to the latest Census data. 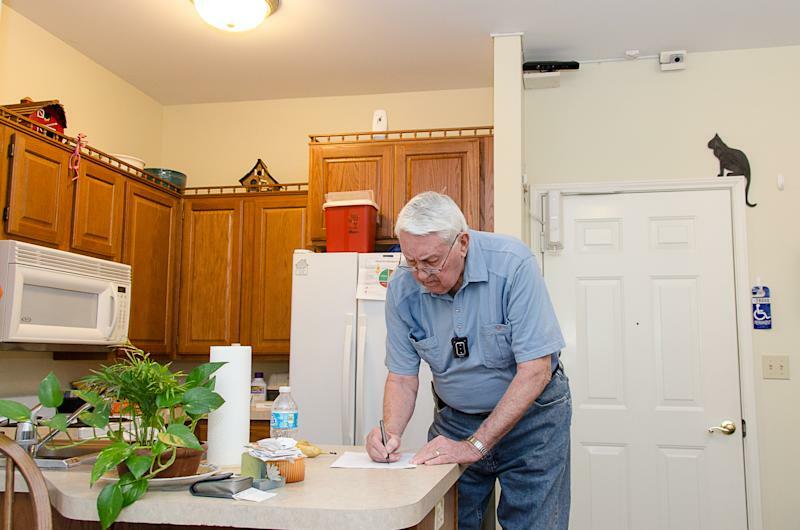 With so much of their wealth invested in their homes, seniors' financial health is far more vulnerable to economic downturns like the housing crisis of 2008. In fact, if you take their homes out of the equation, older Americans' actual net worth is vastly lowered — from a median net worth of $170,516 to just $27,516, according to the U.S. Census. A combination of high mortgage debt and lack of liquid assets is changing the way seniors approach retirement as well. A recent report by Boston College researchers found evidence that nearly two-thirds of homeowners with mortgage debt are still working at age 64, compared to half of homeowners who have paid off their mortgages. "Older adults are supposed to be at the peak of their wealth accumulation and debt-free going into retirement, yet over time they have become increasingly more indebted and more leveraged,” Barbara Butrica, the study’s author, wrote. Are you retired with mortgage debt? Tell us your story.